Did Bert snicker like that cartoon dog Muttley! 445 bales of hay seems like A LOT of hay to me, but probably not enough if you need it thru the winter months. Best wishes on doubling the hay count. Love the dogs & the sheep (and always the donkeys!) - thanks again for sharing them with us! BEEAAARR!!! That's right, buddy. 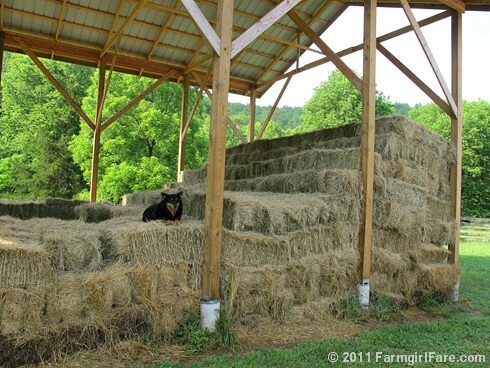 You guard that hay vigilantly; it's a precious commodity. P.S. to Susan: Kudos to you and Joe. Y'all are my heroes.